As a bar manager by profession, Russ Meredith doesn’t like using cheaply made syrups in his concoctions. Like many bartenders, he prefers better quality mixes — even to the point of wanting to make his own. 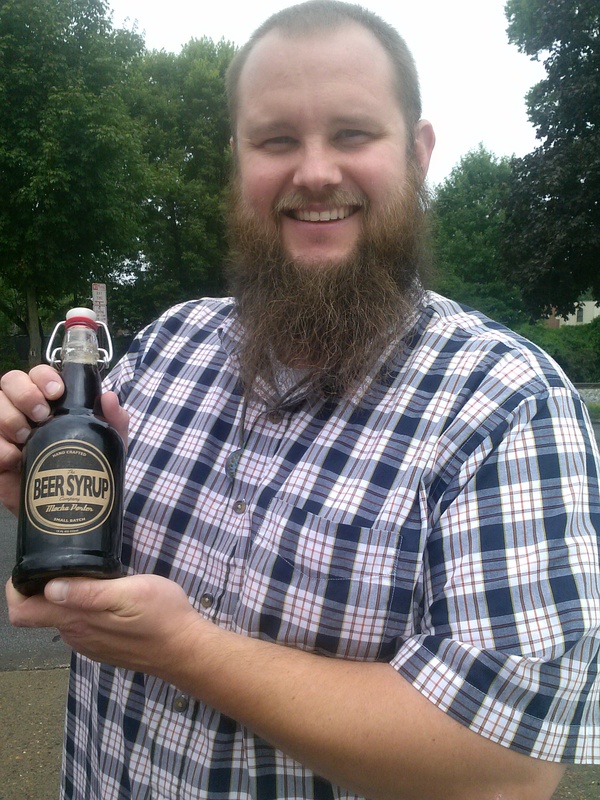 About a year ago, that urge gave him the idea to create and market simple syrups. The problem was, the market was flooded. However, he did some research and learned that no one commercially makes syrups that have craft beer as the base ingredient. To that end, if you ever thought beer and ice cream were a good combination, well, Louisville-based The Beer Syrup Company is here to help make your dreams come true. 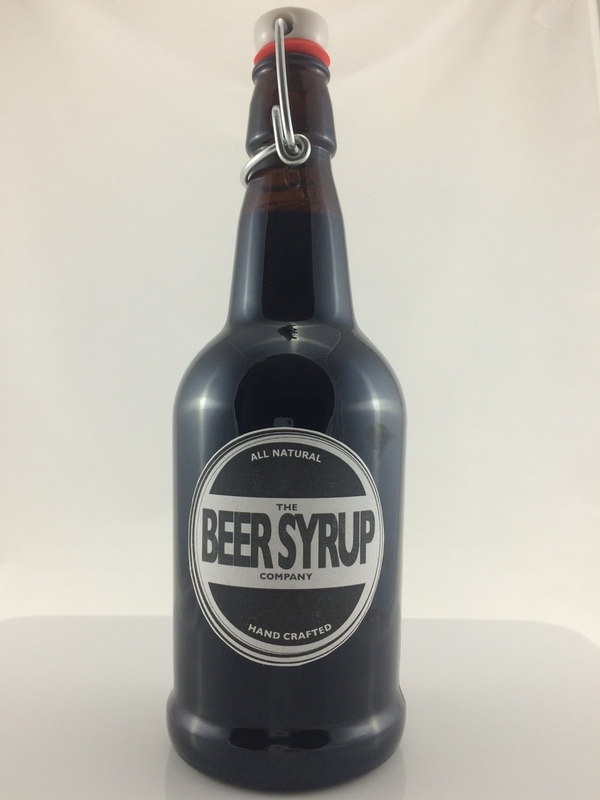 The product is still available only in limited quantities, but Meredith hopes that a Sept. 20 Kickstarter launch event, along with a number of other regional events, will help raise enough to make beer syrup a staple not just in bars, but in cupboards everywhere. Several local bars and restaurants are already creating cocktails that will utilize the new syrups — which so far come in the flavors of Mocha Porter, Pecan Nut Brown and Bourbon Barrel Stout — and several dozen bottles got plucked up from Meredith’s booth at the most recent Flea Off Market. He even said a couple bought a bottle and announced they were going straight to Krispy Kreme to buy donuts for dipping. “And the light had better be on,” Meredith quotes them as saying. Yes, the alcohol is cooked out, but the basic beer flavor remains, which is oddly pleasant. Hey, it’s hard to hide the taste of roasted grains or bourbon barreling. Not that he’s trying, which is kind of the point. The process of getting the product to market has taken about a year, Merdith says. He got things rolling by taking classes with Velocity, which helps entrepreneurs in Louisville and Southern Indiana get started. He applied for Velocity’s Accelerator program, which would provide capital in exchange for a stake in the enterprise, but was not accepted. This is why he’s launching a Kickstarter. He teamed up with Mark Phipps at Alltech in Lexington, where he was able to test about 30 samples of his products to make sure they met state guidelines for alcohol content — saving him thousands of dollars in the process — and later worked with Bill Cannon at Pops’ Pepper Patch to make sure the product would translate flavor-wise. He picked up his first commercial run of bottled products just over a week ago, and took 48 bottles to Flea Off. He went home with just seven, and that was after deciding to skip setting up his booth on Sunday. As such, expect to see him selling bottles every weekend this fall at the Douglass Loop Farmers Market and at other events around town. The official launch party will be held Sunday, Sept. 20, at Louis’s the Ton, located at 1601 Story Ave. in Butchertown. Louisville Cream will create a special ice cream for the event using Meredith’s Mocha Porter syrup, and a new cocktail menu using the syrups will be unveiled by Louis’s the Ton. (The new cocktails will be added permanently.) There also will be product giveaways. In addition, Meredith will have a booth at the Louisville Brewfest on Sept. 25. After the 30-day Kickstarter campaign concludes, the plan is to bottle more and get them into retail stores before the holidays. The beer syrups are great for cocktails, but Meredith says they are an even better fit for use at home on foods such as ice cream or waffles. Plus, he says he already has seen craft beer enthusiasts being intrigued with the product. The Beer Syrup Company offers another spin on the flavors inherent in beer, opening up new doors for enthusiasts. If the Kickstarter campaign works and the products start selling, Meredith says his goal would be to one day make his own base beer — he’s a homebrewer — and create numerous flavor variants. The possibilities become almost limitless at that point, because he can flavor base beers like wheat or brown ale with any number of flavorings. “Not all beers translate to syrup,” he says, noting that he tried to create one using a lemongrass wheat beer, in part because he originally came up with the idea for the Beer Syrup Company while trying to find or create a good lemongrass syrup mixer. But a simple beer can become almost anything after the fact, without losing the flavor of the beer along the way. Meredith provided a few samples, and the Mocha Porter was a chocolaty treat. But he says it’s the Bourbon Barrel Stout that sold “like wildfire” at Flea Off, and that’s likely to be the flagship product, at least for starters. “It’s bourbon country,” he says. He’s right about that. If all goes as planned, maybe it also will be beer syrup country.